I learnt yoga for the first time from 1988 to 1992 for over four years at Sivananda Yoga Vedanta Centre in Chennai. The teacher at that time was Vishnu a short and a dark looking person.The international Sivananda Yoga Vedanta centre was then situated in Kotturpuram. Every day in those four years, I spent about three hours in the morning and three hours in the evening exploring the different dimensions of yoga. He always had a lovely broad smile on his face and even today when I conduct asana pranayama session, I suddenly see Vishnu’s radiant face and hear his soothing voice! I have to thank Swami Vishnudevananda for developing amazing teachers like Vishnu. Later in 1992 Vishnu left for his calling and for about a year my practice continued under a young Swami Girishananda! That was when I came to know about their ashram in Uttar Kashi and Siddha Bari. I wanted to visit the ashrams and stay for some time in the ashram and do sadhana! When I expressed my desire to go to Uttar Kashi, Amma turned down the idea! It is at this time I read the book by Swami Vishnudevananda on Meditation & Mantras! By 1992 in about four years I used to do asana and pranayama practice for almost 3 hours in the morning and again for about 3 hours in the evening! Sivananda Yoga Vedanta Centre, Ranjith Road, in Kotturpuram was my favorite hangout! Practice was intense and had led me to the point, that I was looking for something more intense than asana and pranayama. Swami Vishnudevananda’s book Meditations & Mantras kindled my curiosity! My search for something more intense and liberating had reached its summit! On 17th May 1992 I got initiated into Simplified Kundalini Yoga (SKY) founded by Vethathri Maharishi, in 1993 I was appointed by Vethathri Maharishi as an “ARUL NIDHI” giving me permission to initiate aspirants into SKY. I relentlessly worked to introduce thousands of people into the SKY meditation techniques. However I continued to feel that something was missing. It was during this time, that I enjoyed the experience of SEVA. Every weekend I would take my father’s car load it with my friends and take them to World Community Service Centre, Thiruvanmiyur to get them initiated into SKY. I were asked to give lectures on several topics of introspection as part of his SEVA over the next about seven years. I took the opportunity to organise and conduct several programs under the guidance of the senior mentors and professors of WCSC! From 1993 to 1998 for almost six years I organised hundreds of talks, workshops, training programs, initiated thousands of people into the system of SKY. The satisfaction of teaching, the experience of seeing lives of people transform, encouraged me to take keen interest in seva! My sadhana had taken a shift to the inner dimension! During this period 1993 – 1998, most of my time went in the study about Kundalini Yoga! Swami Sivananda, Pandit Gopi Krishna, Vethathri Maharishi, Gnanavallal Paranjothi Mahan, and their books on Kundalini became the focal point! 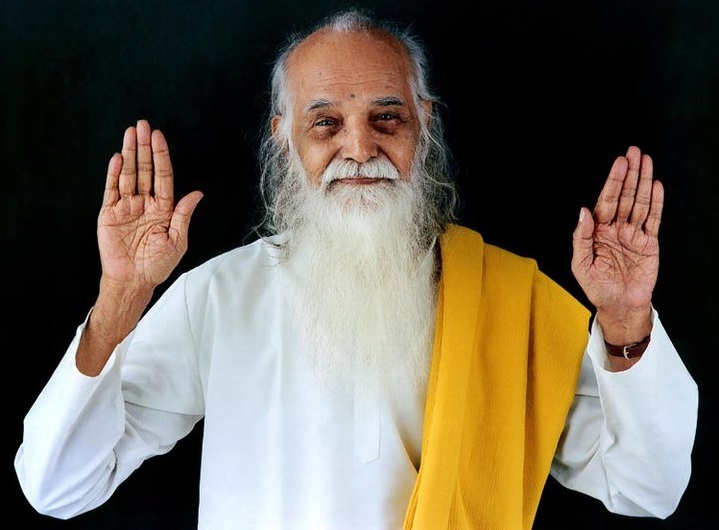 I had the direct guidance of Guruji Mahan Paranjothiyar into the techniques of Kundalini Yoga. Was appointed as a “Gnacharya”. I were authorized to initiate aspirants into Kundalini Yoga. I organized several programs to introduce thousands of people into the tradition of Kundalini Yoga. 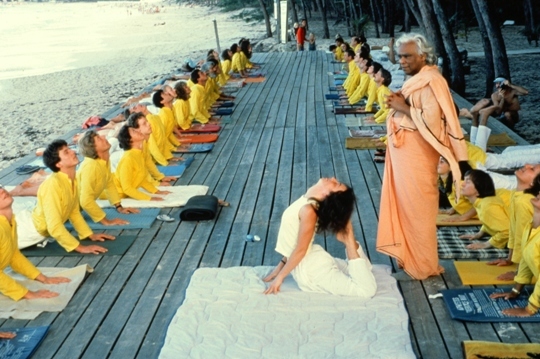 As a Ganacharya, I conducted courses to prepare people for receiving the initiation. I called my program as POORNA YOGAM. From the year 1998 to 2000 for about three years Sri Paranjothiyar hand held me through advance courses. I would have spent hours together meditating during these years. Reading had come to almost nil! Sadhana and Seva were the only two aspects of this period of three years. 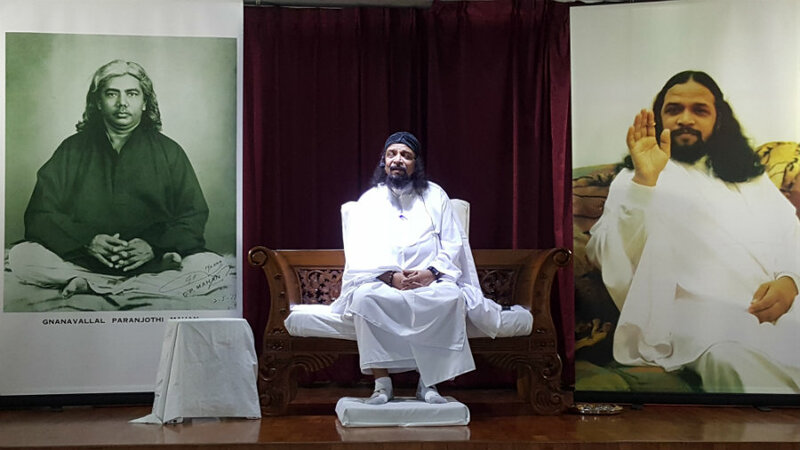 I was blessed with the opportunity to organize hundreds of programs in Chennai for Guru Mahan. A grand reception was given several times to Guru Mahan in many parts of Chennai, every time Guru Mahan would return from an overseas trip. At a point of time, our home had become the head quarter for all activities in Chennai. I could not tolerate Guru Mahan staying in some hotel room and hence pleaded with him to stay at our small home in Triplicane. After that for almost seven years upto 2002, Guru Mahan and his team of devotees used to stay at our home. We were blessed with 100 or more visits and stays by Guru Mahan! Some of the finest teachers who are today spearheading the work of Universal Peace Foundation in Chennai were initiated by be and trained during the period of 1998 – 2000. Along with Guru Mahan I visited Rajnikanth in his house at Poes Garden and Guru Mahan had hinted to Rajnikanth that Gnanavallal Paranjothi Mahan had emphasized “The day when Politics and Spirituality come together that will be the day when Universal Peace will be possible”. I also had the privilege of meeting Shri.APJ.Abdul Kalam, along with Guru Mahan, in his quarters in Anna University, just a few days before he was nominated as the President of India. During this period I did not accept any dakshina for conducting classes, I used to be offended when someone offered money. I conducted my yoga class in the name POORNA YOGAM! Those periods of Sadhana and Seva from 1988 to 2000 were intense and it completely transformed my personality and brought out the potentials that were till then hidden within. From a person who was a sensualist, Sadhana and Seva had transformed me into a dedicated spiritual aspirant. APPA had organised one program and invited all his friends and contacts for a satsang with Guru Mahan. We had organised that event at the Sringeri Sarada Math, in T.Nagar. Justice Shri.P.R.Gokulakrishnan, Advocate Gandhi, Shri.R.M.Veerappan, Bala Jothidar, Bharati Kavalar B.Ramamoorthy, Shri.Eknaath, and many other eminent personalities of Chennai were guests for the evening and listened to the lovely satsang of Guru Mahan. APPA was very close to Guru Mahan. Appa had made several trips to Tirumoorthy Malai and along with Guru Mahan, he had gone on several trips to Himalayas, to Nepal just to name a few. Guru Mahan visited home in September 2017, to meet Amma and we had arranged for a Satsang. Every year during the month of May, when Universal Peace Foundation organizes its annual children and youth development camps, Guru Mahan given me the opportunity to conduct a one day session at Thirumoorthy Hills. The discipleship with Guru Mahan provided me the opportunity to dive deep into intense sadhana and hands full of opportunity for Guru Seva!In the year 1996 I started a business SUMA MARKETING. Within few years, due to hard work and sincerity the business grew is leaps and bounds. But due to wrong decisions, unprofessional expansion, I suffered severe setback in my business. Severe loss and financial crisis had come upon me with full force. 1999 – 2002 were horrible years in terms of my professional dimension. Since I were mean to be a catalyst of transformation in the lives of thousands of people, I had to move on from survival mode to a compassionate living mode! In May 2000 I first came across the tradition of Bihar School of Yoga!